Holly Springs Real Estate - 12 Oaks Neighborhood Info. 12 Oaks is a gorgeous neighborhood within the Holly Springs community. It is the perfect place to start a family and to raise children. Home to a gorgeous club and an award-winning golf course, designed by Nicklaus Design Group, ranking “top ten new private golf courses” according to Golf Digest. It has only the most beautiful of homes for sale and an incredible community garden, the most popular gathering spot. Besides both the beautiful golf course and community garden, 12 oaks also includes other great amenities for all age groups. This includes a fun and exciting pool complex, tennis courts, and parks and trails for you to leave your car at home and enjoy the beautiful 12 Oaks atmosphere. To learn more about the stunning nature of 12 Oaks click here. Are you looking for a new home that is perfect for you and your family? 12 Oaks is known for being one of the best places for just that! It is home to some of the most gorgeous homes that you have always dreamed of, and you can get them at great prices. Of all the communities in the Holly Springs area, when you visit 12 Oaks you will not want to leave. 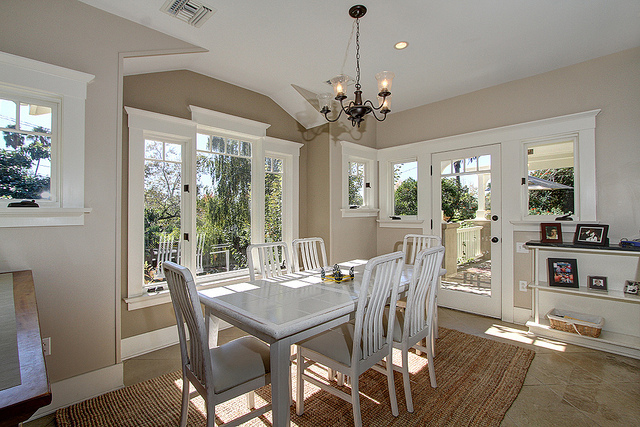 The homes for sale in 12 Oaks area are beautiful. It would be great to say that they are priceless but their prices have to start somewhere! The prices of an average sized house start in the low low 200s, and you can find your dreamy mansion at prices all the way up to just under one million! 12 Oaks is one of the premier Holly Springs neighborhoods, which is reflected in the price and desirability. If you're an educated consumer on the 12 Oaks neighborhood you understand just how fast real estate in this subdivision sells. Most 12 Oaks homes for sale will sell in under 10 days, much faster than your typical Holly Springs estate. If you're shopping in Holly Springs for homes for sale 12 oaks is certainly a subdivision to check out! Working with a top 12 Oaks Realtor is important to ensuring you find a great home, at an even better price, all while staying in your budget. Holly Springs Real Estate Agents are many, and not all Realtors are created equal. Do your due diligence when working with a Holly Springs Real Estate Agent! If you're looking for a top local Real Estate Agent in 12 Oaks, Holly Springs let us know. We are happy to work with you on finding the house you're looking for. We know the 12 Oaks area well at Raleigh Realty as a lot of the buyers we work with are looking specifically in this neighborhood. There are so many local events and things going on in 12 Oaks, it helps separate the community from it's peers as something special. The location to amenities helps as well! 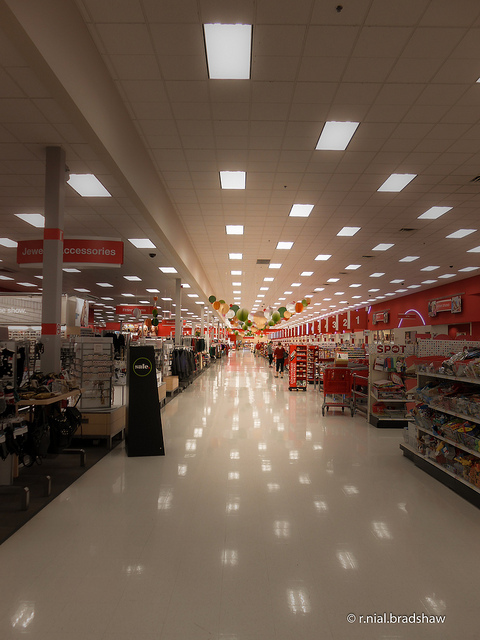 To the right you'll see a photo from inside the Target in Holly Springs Towne Center where there are plenty of shops, restaurants and fun things to do! Don't settle for an average Real Estate Agent when you're buying or selling real estate in 12 Oaks. The local market is too strong for you to settle for less than you deserve and the top marketing and selling strategies will help you sell for the most. The Holly Springs homes for sale in 12 Oaks are some of the best, and most desirable in all of Wake County! According to Forbes Magazine, Raleigh was recently named # 1 for raising a family because of the great education that the schools bring. 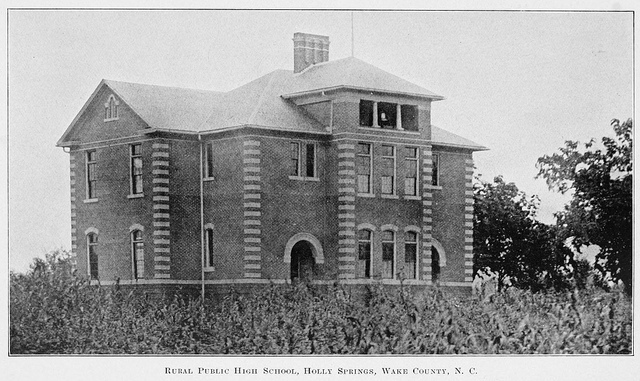 It is home of the Wake County Public School System (WCPSS) which is the largest school district in the state of North Carolina. 12 Oaks strives to making the students the best they can be. “Serving the learning needs of all children and challenging them to rise to their full potential” is what the 12 Oaks schools believe in. There is a lot of new construction homes for sale in Holly Springs and with that comes a lot of opportunity for buyers. The new developments in 12 Oaks you will find above as well as all Holly Springs new construction homes. The Raleigh Realty website provides users with the ability to search new construction and luxury homes as well. Whether you're shopping for new communities or mansions you can find the home of your dreams with ease on our website. There are a lot of luxury homes in Holly Springs, specifically in the 12 Oaks neighborhood. Real estate priced greater than 650k is regarded as luxury in the Wake county area. As you can see above there are a number of high end estates for sale in 12 Oaks, as well as the Holly Springs area. What makes 12 Oaks a luxury neighborhood in Holly Springs is the fact it's centrally located and in high demand. The homes in 12 Oaks are also larger than most others which makes it easier to raise the price. Homes with 5-7 bedrooms and 4000+ square feet are surprisingly common in the 12 Oaks subdivision. Those who are moving to Holly Springs from the north are sure to find something they love in the 12 Oaks neighborhood! One great thing about 12 Oaks is that they make it so there is always something for you to do. This is no ordinary boring neighborhood, but a fun and exciting one! There are special events for you to go out to with family and/or with friends. Week after Week 12 Oaks is coming out with events that will make you want to get out of your new home and interact with the community. There are nights for the ladies to go out and enjoy themselves, and then there are beer craft nights for the gentlemen to have a guys night out. It gives the people of 12 Oaks the option to take advantage of meeting other families.